Below is a list of new materials that we have read/watched in recent weeks. The comments are not a “review” of the material, instead sort of an endorsement of ideas and investigations that can provide solid analysis and even inspiration in the struggle for change. All these books are available at The Bloom Collective, so check them out and stimulate your mind. What Would It Mean to Win? – This book is a collection of essays put together by the Turbulence Collective and deal primarily with issues around current anti-capitalist and social change movements. 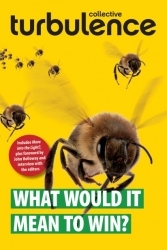 The authors deal with a variety of aspects related to movements and movement building and raise questions around the idea of winning. Are the movements that are fighting against globalization, war, global warming winning and what would it even look like if they were winning? The essays are thought provoking and important for anyone who is serious about wanting to make radical change in the world. An added bonus is many of the graphics included involve lego characters. Mexico’s Revolution Then and Now, by James Cockcroft – Cockcroft, author of numerous books on Mexico in both English and Spanish, has put together a short text that makes the argument that Mexico is faced with very similar conditions today as it was one hundred years ago just before the revolution of 1910. The author looks at themes such as class conflict, Neo-liberalism, immigration, imperialism and resistance. For anyone interested in learning about both the 1910 revolution and the current political climate this book is a great introduction. 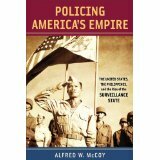 Policing America’s Empire: The United States, The Philippines, and the Rise of the Surveillance State, by Alfred McCoy – Like his book the Politics of Heroin, Policing America’s Empire is ground breaking work by Al McCoy. This 650-page volume looks at the kind of colonial system that the US set up in the Philippines after the 1898 invasion/occupation. The detail that the author provides is impressive, but more importantly McCoy argues that what the US was able to accomplish in the Philippines was a test case for policing, intelligence gathering and black-operations that would be used in other countries around the world. This Land Is Our Land: The Fight to Reclaim the Commons, produced by the Media Education Foundation – This new documentary is an important contribution to understand the idea of what the commons are and how the current corporate/capitalist economic model threats its very existence. With an excellent historical overview, this film not only helps us understand the origins of the notion of the commons, it also provides important analysis of how it has been taken over in recent decades and how people and communities are fighting back to reclaim the commons. This is important for anyone concern about public space and the rights that people have to water, air, land and food.